I have read several books by Dr. Yang, Jwing-Ming over the years and still use his two books on Tai Chi Chuan as references to advance my knowledge of this incredible martial art. His books are the most detailed ones I have ever seen and I recommend them to everyone from beginner to advanced practitioner. This amazing detail is present in all of his books whether it be his book on Northern Shaolin Long Fist Kung Fu, Chin Na, or Soutnern White Crane. You can read a short biography of him at the end of this article. 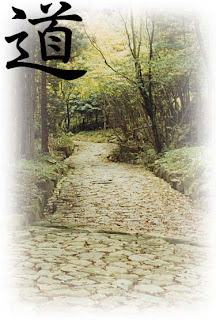 This short history of Taijiquan contains a few more details that I think you will find interesting. I highly recommend Dr. Yang('s) Jwing-Ming books to anyone interested in traditional Chinese martial arts. He founded YMAA many years ago to make sure the detail and integrity of these original and powerful martial arts are preserved and available to everyone today. Enjoy! Yang, Jwing-Ming Ph.D., is a world-renowned author and teacher of Chinese martial arts and Qigong. Born in Taiwan, he has trained and taught Taijiquan, Qigong, and Chinese martial arts for over 45 years. He is the author of 35 books and 80 instructional videos, and was elected by Inside Kung Fu magazine as one of the 10 people who has "made the greatest impact on martial arts in the past 100 years." Dr. Yang lives at the YMAA CA Retreat Center, in California.